Gone to New York City. 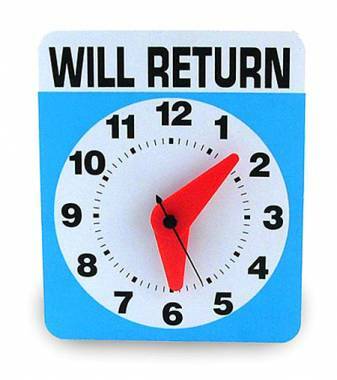 Full report once I return home next week. 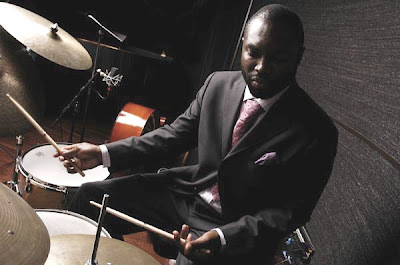 Matt is a dynamic voice in the Jazz drumming world today. 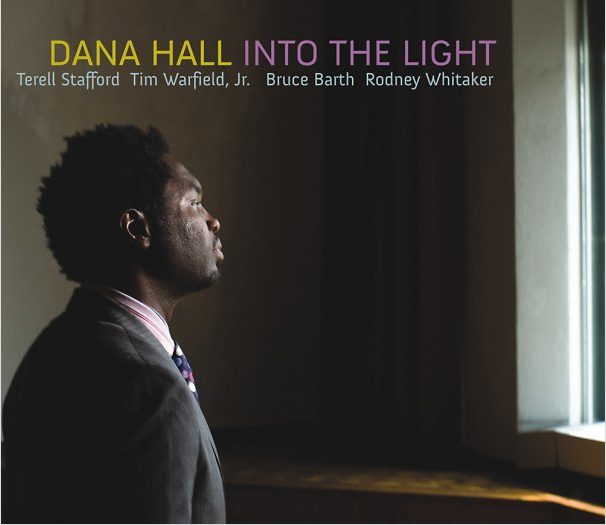 His playing embodies a spirit that, I think, we should all strive for as contemporary Jazz artists. 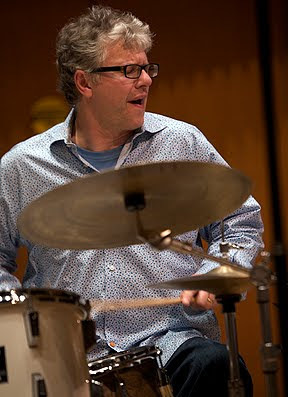 Matt is always looking forward and as far as he's concerned there is no "box" however the depth of his playing also demonstrates a real reverence, knowledge and respect for all the things that make Jazz music what it is. This footage was taken in 1988 at the now defunct Montreal Jazz club L'Air du Temps. I have many fond memories of that club and of making late night treks through the snowy streets of Old Montreal to catch many memorable shows. 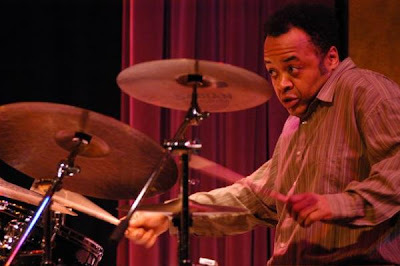 I first moved to Montreal during the mid-1990s and by that time the club was only active on a part-time basis but I still managed to experience a lot of great music there nonetheless (hearing drummers such as Jim Black, Jeff "Tain" Watts, Ignacio Berroa and local fixtures such as Dave Laing, Andre White and Pierre Tanguay). 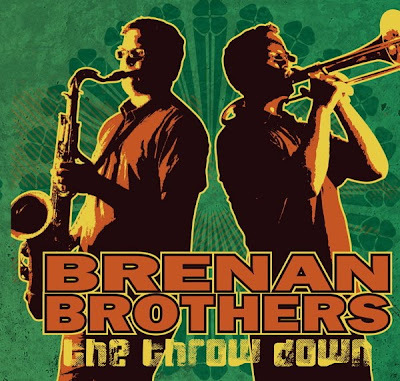 My last memory of being in that room was actually playing an extended run there with bassist Brian Hurley's band with Allan McLean on tenor saxophone and Paul Shrofel on piano about ten years ago. I really appreciate the close up "drum" video angles to this footage. 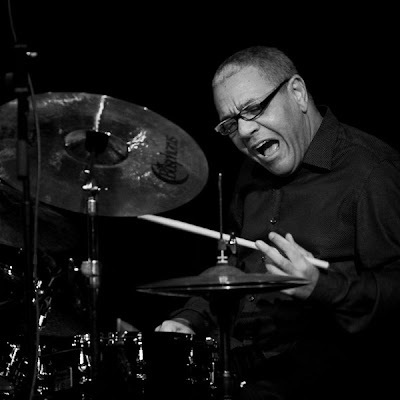 It's a great opportunity to see the great finesse and nuance with which Blade plays the drums. This particular trio also has several albums to its credit including "Poesia" and "Unicity" which are both worth listening to. The energy and musicality that Blade brings to the music is, as always, inspiring. 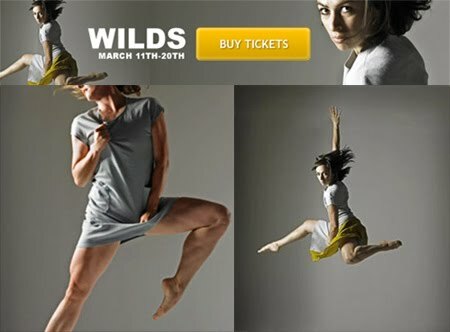 -I am currently playing with the Decidedly Jazz Danceworks company in their recent production of WILDS, running at Calgary's Grand Theatre until March 20th. Our first few shows went very well and the reception so far has been very positive. I'm really looking forward to getting deeper into this music as the shows go by. The level of musicianship and overall artistic talent is very high in this production. It's a real fun challenge to play with dancers in a situation like this. The music, tempos and forms all have to be relatively consistent night-to-night or else it really throws the dancers off in a serious way (!) The challenge is to not only take care of business in those regards but to also keep things fresh and creative within those structures. It is a Jazz show after all ! All in all it's a great experience to be part of. -I've been getting numerous inquiries lately about my private teaching availability. Yes, I am always accepting students and interested in working with you and answering whatever questions you might have. Drop me a line and we can get together at my studio here in Calgary or arrange for a long-distance web lesson via Skype. 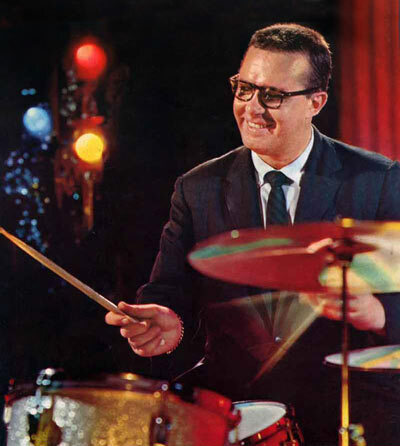 -With Joe Morello's recent passing this weekend, I thought back to the impact that Mr. Morello's drumming has had on myself. 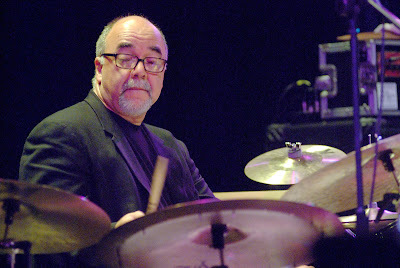 I first heard Joe play on the Dave Brubeck album "Time Out" (the first CD that I ever owned that my father purchased for me 20 years ago) and was immediately impressed with his sound, feel and tremendous drumming ability. 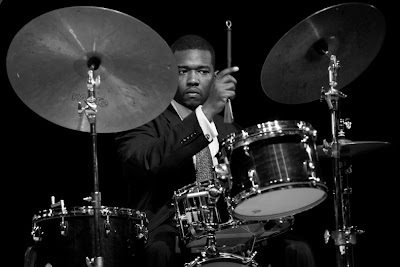 Being primarily a young drumline snare drummer at the time, his approach not only impressed me but exposed me to the wider musical possibilities of being a drummer. Several years later I had the opportunity to hang out and take a lesson with Joe while he was doing some teaching in Kingston, Ontario. 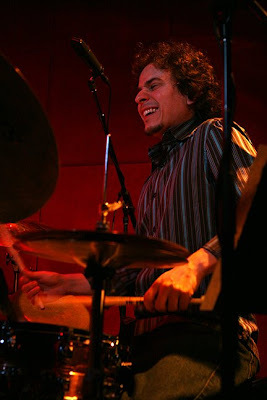 My good friend Chris Smirnios was smart enough to bring Joe up for a weekend worth of master classes and private lessons during the fall of 2007. I had a great time learning from Joe over several bottles of Heineken in a hotel restaurant with him showing me his basic sticking techniques (playing on the table nonetheless!) and telling many stories from the days of drumming yesterdays gone by. His comments on my grip and arm/wrist/finger movement still resonate today. His methods, instruction videos and book "Master Studies" have since become an important part of my practice routine. I feel very fortunate and privilege that I had the opportunity to learn from Joe. He will be missed. 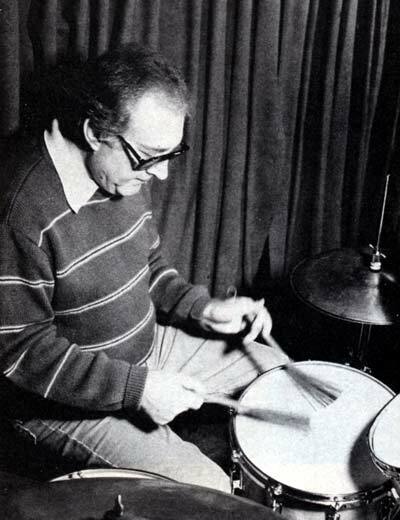 There are also some very nice drum solos that stream on his site while browsing that are really worth checking out. Having good hand technique and proper stick control is paramount to being a good drummer. For me it's a constant process of refinement. These days I find myself continually trying to tweak how I grip my sticks and physically use my hands when moving around the drums and it always translates into my getting a better sound and feel coming out of the instrument. 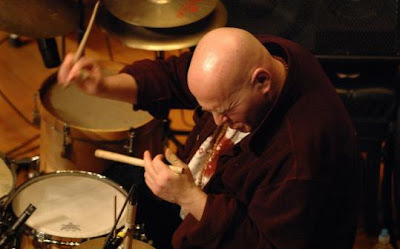 I've been fortunate to spend some time with Joe Morello and John Riley over the past few years and it's exciting to hear how my drumming improves after making seemingly subtle little adjustments to the way I physically play the drums. 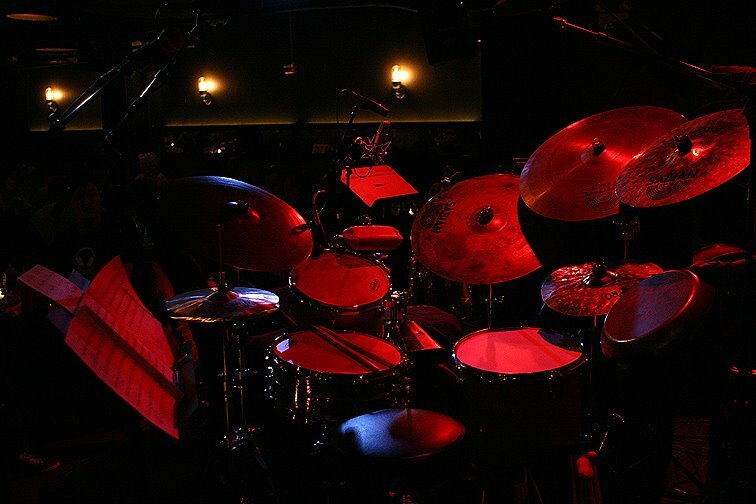 Tommy Igoe's DVD "Great Hands for A Lifetime: The Lifetime Warmup" as well as practicing through Alan Dawson's Rudimental Ritual have also been very helpful in applying these techniques to playing rudimental patterns in a musical way while refining my grip and motion. This lesson is obviously taught by a cello teacher and comes from Tai-Chi but I think the concept is an important one and could easily be applied to drumming as well. You'll notice that the most significant part of this grip is the position of the thumb. In this grip the thumb and the index finger don't touch whereas I was always taught to keep the thumb on top of the index finger and to use the index finger on top of the stick to provide a center and focus to the stroke. Instead the thumb places over the stick. Apparently this is the left hand traditional grip commonly found in Scottish pipe snare drumming and (according to John Riley) similar to how Mel Lewis gripped his sticks as well. Times have been busy lately rehearsing with Calgary's Decidedly Jazz Danceworks recent production of WILDS. The show is choreographed by Kimberley Cooper with original music composed by Rubim DeToldeo and Chris Andrew. The music is an exciting and eclectic mix of contemporary Jazz music exploring many different vibes and textures (and some challenging odd meters to boot!) There is lots of great material here to deal with and I'm having a lot of fun working with Kim, the whole band and this talented cast of dancers. The show opens on Friday evening and runs March 11 - 20 at the Grand Theatre in downtown Calgary, Alberta. Don't miss this exciting show. The four of us in the band (including myself on drums with Bob Tildesely on trumpet and effects, Chris Andrew on piano and keyboards and Rubim DeToldeo on bass) performed the music from the show on Saturday evening to a packed and enthusiastic crowd at the Beatniq Jazz & Social Club in Calgary. It was really nice to stretch on these fine tunes and see what different directions the music could go. 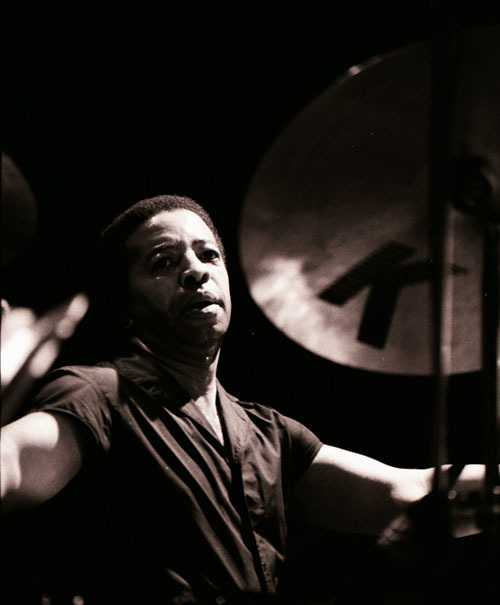 There were a lot of musicians, and in particular drummers, in the house that evening and several asked me afterwards about a particular groove that I played for one movement of the show (simply dubbed "The African Vibe"). No one seemed to be able to agree where beat one was ! -The right hand part is played on a cowbell and is basically a displaced version of a common calypso bell pattern that I heard. -On the cowbell I play a subtle little accent on the + of beat 4 in the first bar to give the groove a little "hump" and a little direction phrasing-wise. -The hi-hat plays in half-notes although as the groove intensifies during the piano solo I will often double it up to play quarter notes. 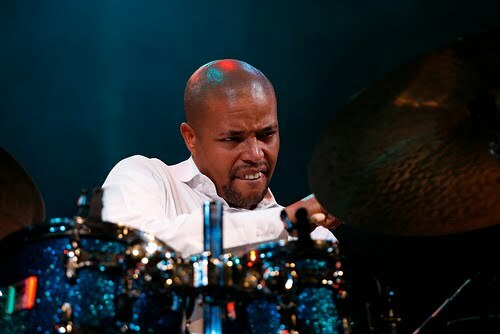 -During a quieter section of the piece I'll often play the groove exclusively on the rims of the drums to change the mood (sounds great on my new wood hoops!) and when the piano solo reaches its climax I'll often return to the original pattern but with the right hand on the bell of the ride cymbal to crank it up a notch. -It's a fun groove to mess around with and a deceivingly simple pattern as the right hand cowbell phrase starts on the + of beat one. Please come and check out the show during our run and experience a very unique and exciting show of contemporary Jazz dance and music. I consider myself very fortunate to be in the company of such a talented and creative group of artists, dancers and musicians. Okay...is there anything this guy couldn't do ??? 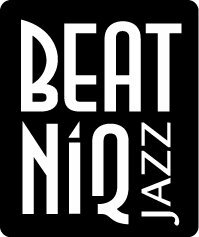 I'll be appearing at the Beatniq Jazz & Social Club on Saturday evening with the band featured in this year's DJD production. Known as the reClaim Collective, we'll be performing all the music and original soundtrack from the upcoming dance show "Wilds" of which we are currently rehearsing and which will be running at the Grand Theatre March 11-20. The music is all composed by Rubim DeToledo and Chris Andrew and features an eclectic mix of styles and grooves. There is lots of variety and a lot of very interesting harmonic textures and melodic material to work with. Rubim and Chris have also come up with some quite challenging mixed-meter compositions that will be sure to keep us on our toes! I'm also co-hosting the jam session at the Broken City on Saturday afternoon with saxophonist Jeff McGregor from 3-6pm. Come out and enjoy some great music, sit in with the band and taste one of Calgary's finest burgers! I really admire his multiple tom and cymbal set-up. I'm going to make an effort to give that a try myself although, of course, I realize that's going to mean a lot more drums, hardware and cymbals to lug around ! I think there is a lot to be said to be able to play with a smaller kit and to have the ability to get a multitude of sounds out of a limited set up however, I think having a larger set up with more cymbal/drum choices is fair game too. The expanded sound palette at your disposal makes for some interesting drumming but it's probably also about having the discipline to NOT hit everything all the time either ! 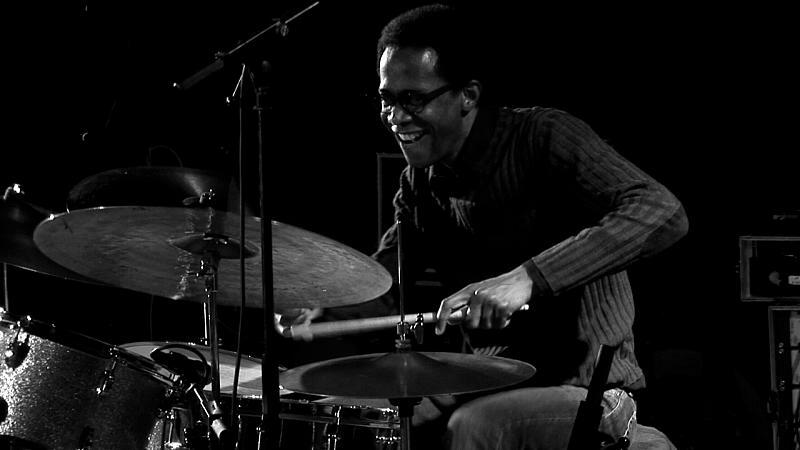 I heard Rodney play with this particular group in 2008 at the now defunct Calgary Jazz Festival. The group performed in a very wide open church and I was very impressed with Green's incredible dynamic control and ability to make everything sound right given the the challenging acoustics of such a venue.